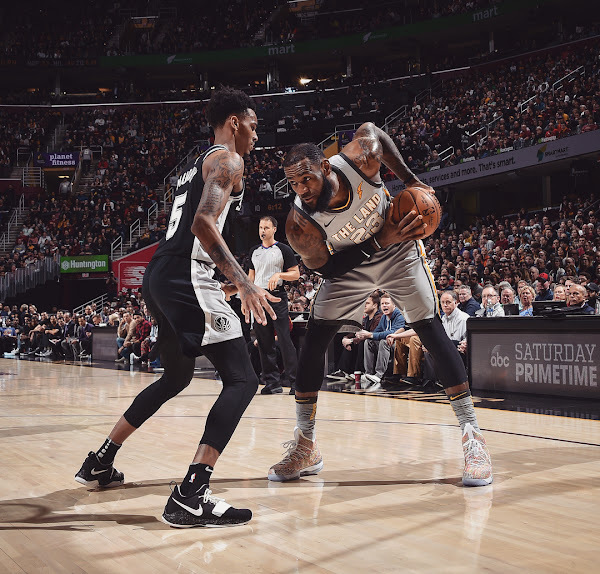 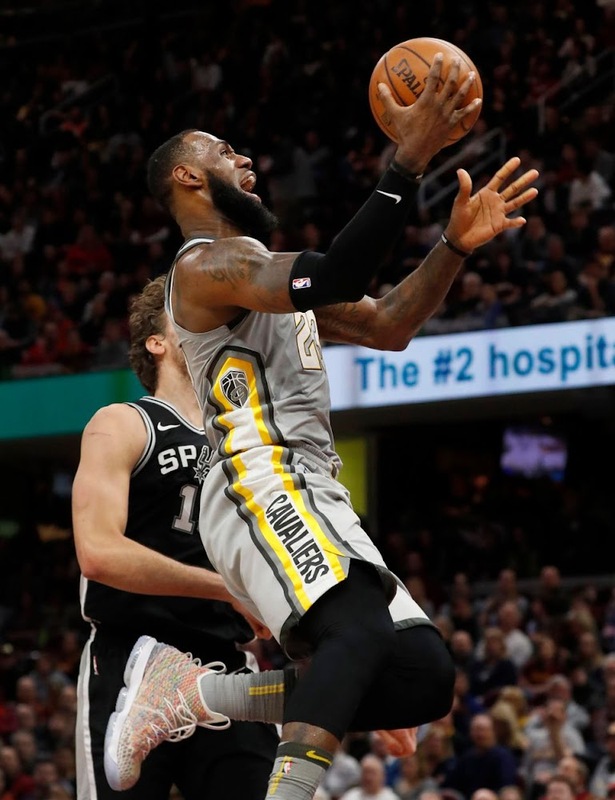 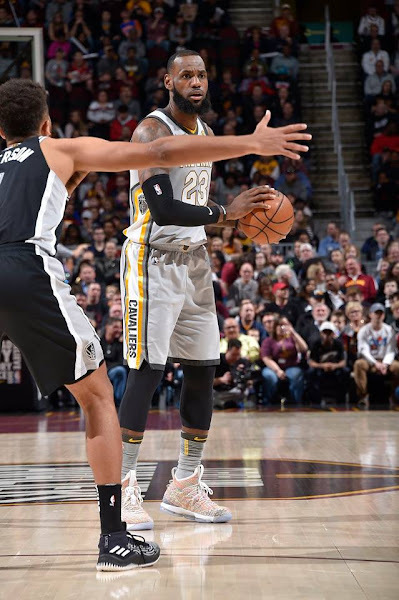 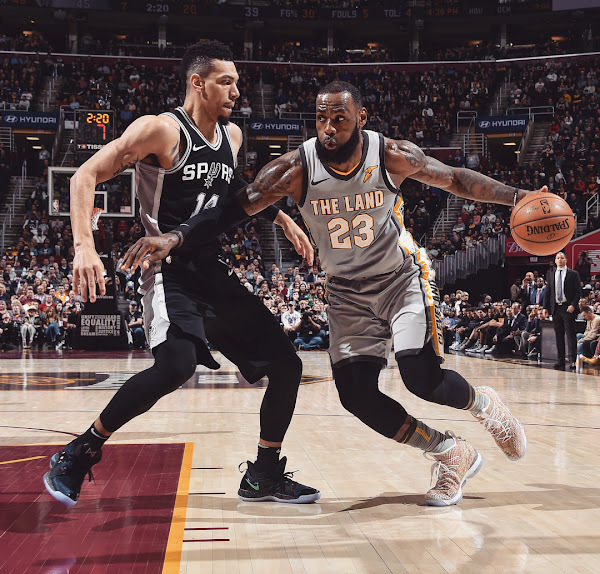 Cleveland Cavaliers star LeBron James was not pleased that he attempted a mere four free throws in his team’s 110-94 loss to the San Antonio Spurs on Sunday. LeBron James finished with 33 points, 13 rebounds and nine assists. 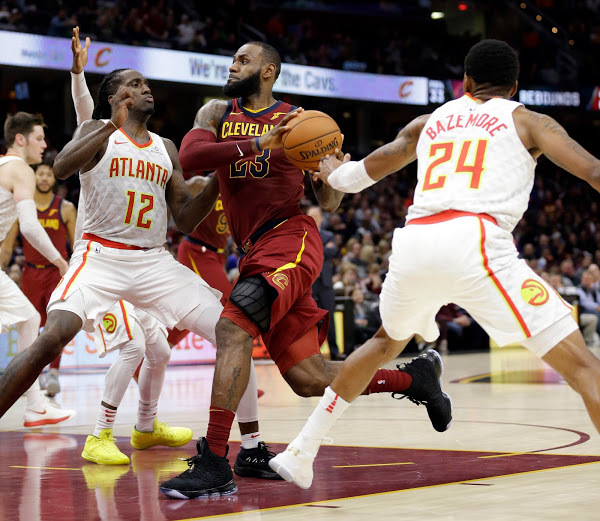 The rest of the Cavs’ starters shot a combined 6-of-28. 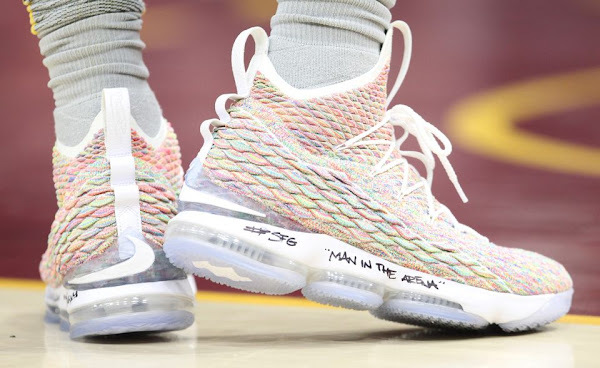 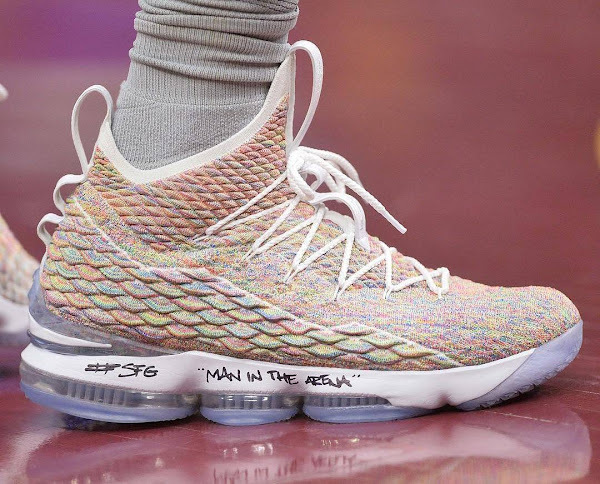 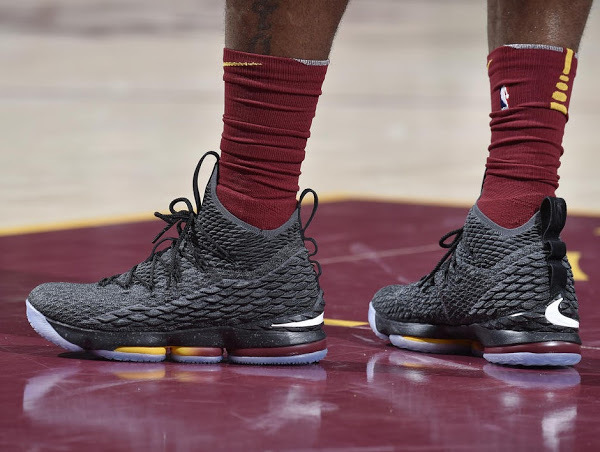 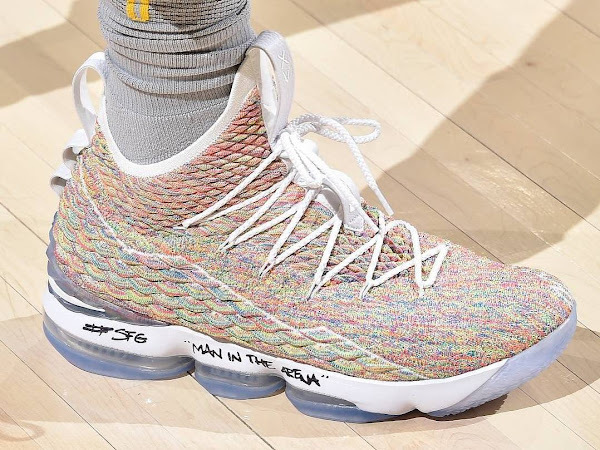 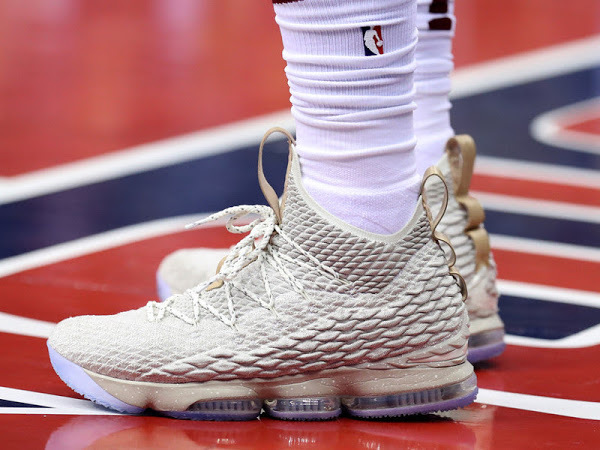 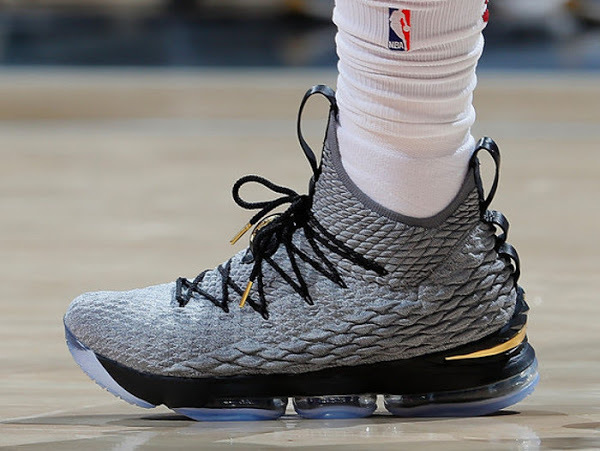 King James brought some heat on his feet that got fans hitting refresh on Nike SNKRS but without much effect. He laced up what he confirmed himself afer the game as the “Fruity Pebbles” colorway. 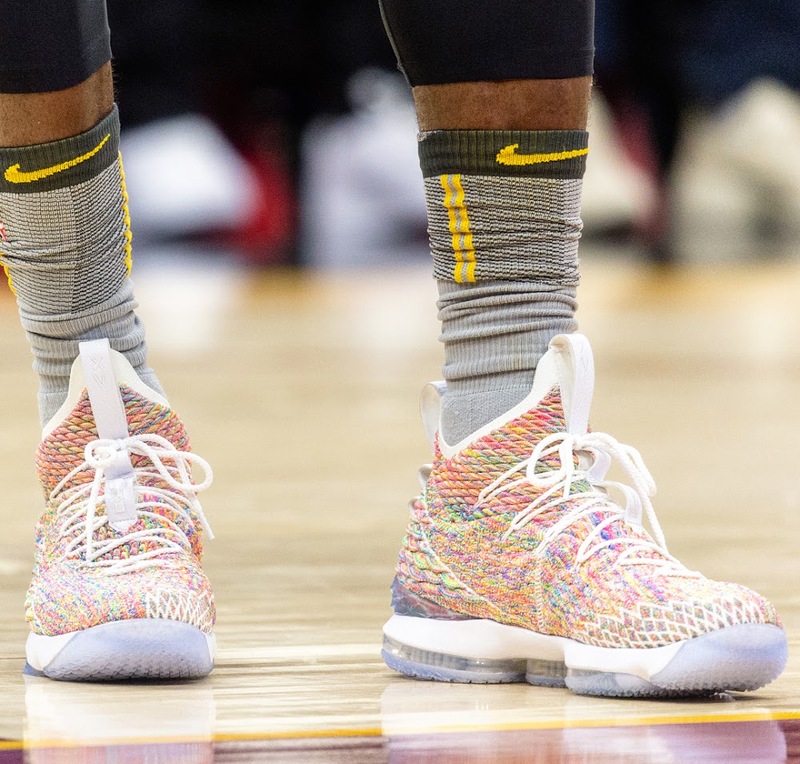 It was an easy implementation with a simple multicolor effect applied to the BattleKnit upper. 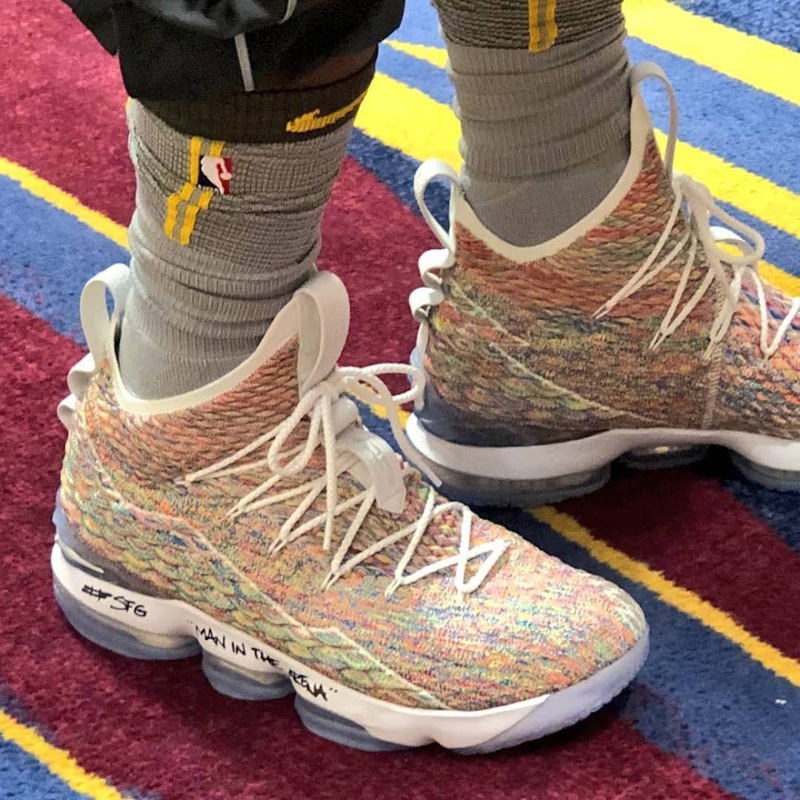 Nike has already a couple of cereal-inspired releases but the one that started it all is the Zoom LeBron IV “Family Size”. The 15s are good but the original will always remain as on of the GOATs. 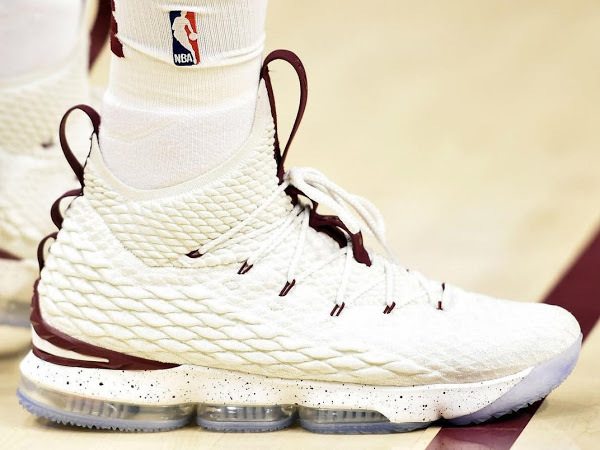 As of now, there’s no release date information for this colorway. 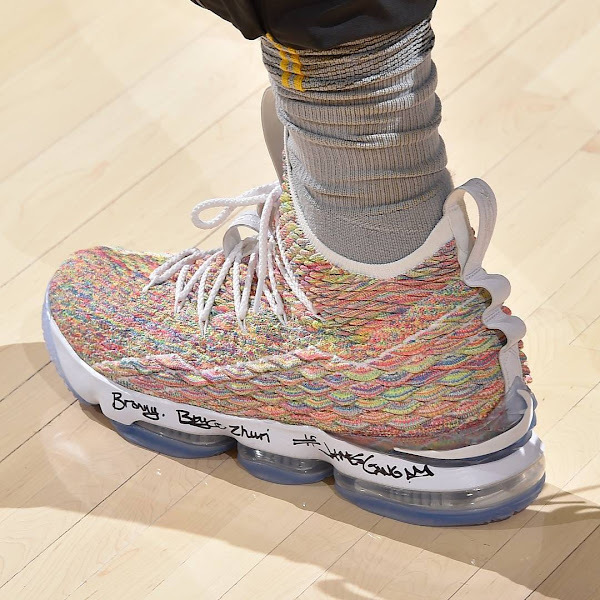 Keep checking back for updates once and if available. 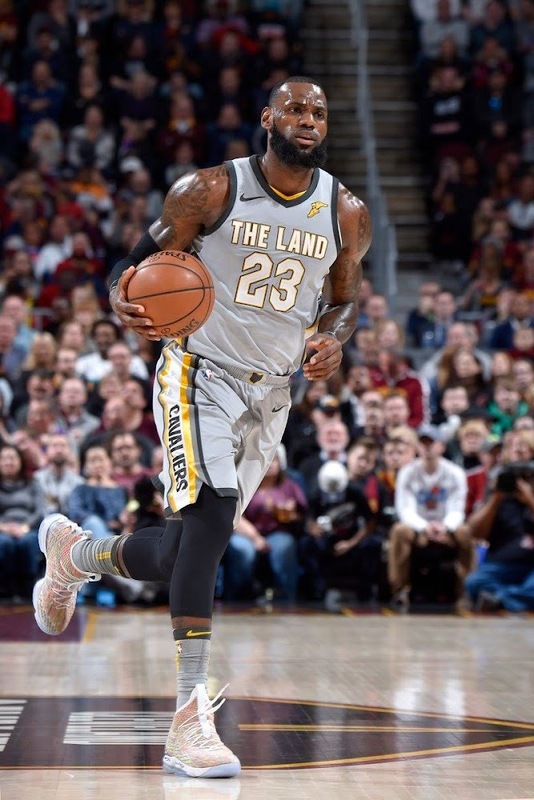 I doubt it’s one of the LeBron Watch styles because none of the inspirations seem to be applicable here.